We have updated our new Toll Free number to 844-901-9987 and would love to hear from you! 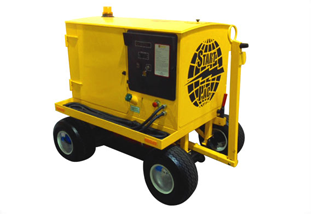 Our primary goal at Start Pac® has always been the production of reliable, efficient and long-lasting American-made ground power units, lightweight starting units for portable power and portable power supplies. We continue to lead the way in the newest and safest technology available. 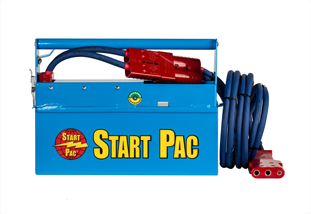 The Start Pac® product catalog includes state-of-the-art portable starting units, ground power units, and power supplies. Our portable power units include compact starting units powered by lithium batteries as well as lead acid portable starting units. Need a portable Lithium ion starting unit? 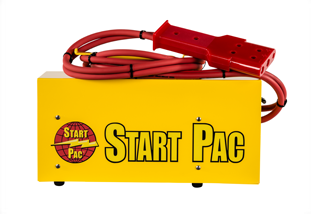 Start Pac offers powerful portable lithium starting units featuring twin battery packs. Our cutting-edge ground power units include self-propelled diesel-electric hybrid units, locomotive units and units designed for starting large turbine engines. Our power supplies are second to none. Start Pac manufactures efficient power supplies including 24 volt power supply units designed to power up 24 volt aircraft systems. In addition to providing our customers with superior products, we offer equally superior customer support. We enjoy sharing our extensive knowledge with you. This is why we offer informative online tutorials on a wide range of subjects, from portable power pack units to voltmeters and much more. In fact, the entire team at Start Pac is willing and available to answer all of your portable power supply questions and provide you with well-informed product recommendations. Our talented sales and marketing team is also standing by to assist you. Do you have a question about your order or billing statement? We can help with that, too. Whether you need to find the right GPU or require assistance with your online order, contact Start Pac today.